This luxury villa is one villa in a complex of three separate and autonomous villas, each with a private entrance and all areas are 100% private. The complex is located on the southwest side of the island, at Ayia Irini area, inside a 7.5 acres fenced and tree-lined plot. Paros hill villa is a unique luxurious villa with absolute privacy and an unblocked sea view. Located in the area of Ayious Anargirous, just above the town of Parikia, close to the large monastery. Paros hill villa offers breathtaking views of all the aegean islands and the best sunset on Paros. This cute little house is located right in the center of the traditional village of Lefkes on Paros. The little house offers one bedroom , one bathroom, a small, fully equipped kitchen and a living room with a sofa bed. The apartment can sleep up to 2 persons and a child. The villa has been built upon one level and is 95 sqm in total with a very big colorful garden. As you enter the villa, you find yourself in the a living room, a fully equipped kitchen with a dining table is connected, there is a bathroom with a shower and a bedroom with two single beds and also a large, double bedroom with an second en suite bathroom with a bathtub in the bathroom. A small countryside villa located just 1,5 kilometer away from the center of the main town of Paros. The villa offers one large bedroom with two semi double beds, a living room with two sofa beds, a kitchen and a bathroom. The verandas are furnished and offer a wonderful view of the town of Paroikia on Paros. A unique 70 m2 luxury open space apartment, built in the traditional Cycladic style, divided into a large bedroom, a living room, a bathroom, a big kitchen and a dining area. Charming villa of 100 sq. m, 2 levels,2 bedrooms , 3 bathrooms + 1 outdoor shower at the entrance of the dwelling. It accommodates up to 4 people. Located in the unit of the 5 villas sharing a pool of 115m2.On the ground-floor we find a very cozy sitting-room with fireplace, a beautiful kitchen in a separate area with a dining table , a constructed sofa and a plasma T.
This luxury villa is divided into 3 adjacent charming houses for 4-10 guests, set at an ample garden with swimming pool, on a slope with panoramic views to the sea, the island of Antiparos and the sunset. The Villa is located about 6km. 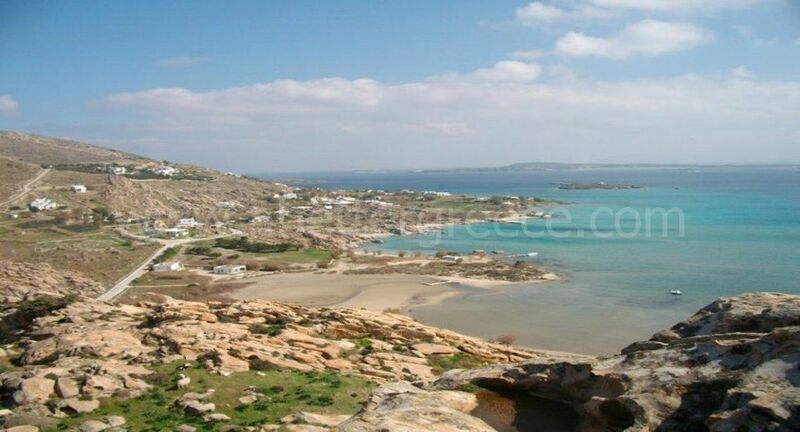 from the main town of Parikia and very close to the kite-surfing centers at Pounda and various beaches (2km. The first villa is a complex of two independent levels of residence. The upper level is a house for up to 5 persons. It includes a living room with a fireplace, 2 built-in sofas, a small kitchen fully equipped and a dining area. The house has 2 en-suite bedrooms. The main bedroom has a shower and a toilette, and a big built in double bed.